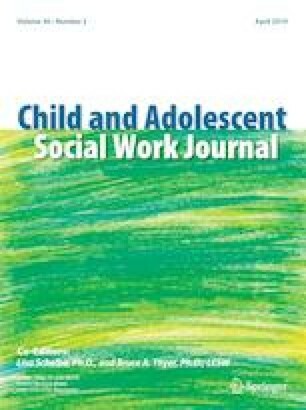 This paper provides a critical response to Jean Mercer’s article published in the Child and Adolescent Social Work Journal (2017, https://doi.org/10.1007/s10560-017-0511-7), which reviewed articles published on attachment theory, practice, and research in past decade. Jean Mercer further classified information in two categories of conventional and unconventional. Primarily, the purpose of this paper is to contest this classification. This paper posits that conceptualization underlying both these categories can be linked to core tenets of attachment theory. It further identifies that attachment-related concerns occur on a continuum, and adequate guidance is not available to clinicians to diagnose it as such. At one end of the spectrum are attachment insecurities and at the other end disorders like reactive attachment disorder and disinhibited social engagement disorder. Not acknowledging the spectrum of attachment problems can result in inadequate guidance to clinicians, leading to idiosyncratic diagnosis and treatment. The absence of validated diagnostic assessment methods has further exacerbated this issue. Limited research base for conventional or unconventional approaches has allowed the growth of treatment models with the potential to harm clients. Promoting new thinking, devising validated diagnostic methods, and strengthening evidence-base for treatments for attachment-related problems are the challenges facing the practitioners in the field of child and adolescent mental health, researchers in this field, and watch-guard organizations. Hodges, K. (n.d.). CAFAS(R) overview of reliability and validity. Retrieved March 1, 2018, from http://www2.fasoutcomes.com. Social Work Policy Institute. (n.d.). Evidence-based practice. Retrieved February 28, 2018, from http://www.socialworkpolicy.org. Van IJzendoorn, M. H., Vereijken, C. M. J. L., Bakermans-Kranenburg, M. J., & Rikson-Walra, V. (2004). Assessing attachment security with the Attachment Q sort: Meta-analytic evidence for the validity of the observer AQS. Child Development, 75, 1128–1213. Retrieved from http://www.psychology.sunysb.edu/attachment/online/AQS_meta-analysis.pdf.